Clair began playing the violin at the age of 3 and among her teachers were David Hadwen, Walter Verdehr, Benedict Holland, Jiri Tomasek and Emanuel Hurwitz. Clair studied at the Royal Northern College of Music then moved to America to do a Masters at Michigan State University. Whilst in America Clair played with the Detroit Symphony Orchestra and lead many shows on Broadway which featured Marie Osmond and family, Jerry Lewis and Liza Minelli to name but a few. 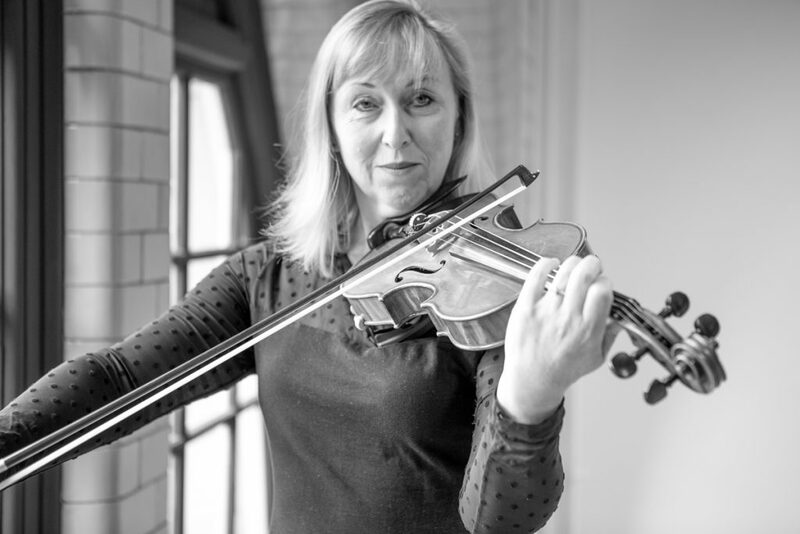 Since returning to the UK Clair has played with many orchestras including the Orchestra of the Swan, the Royal Philharmonic Orchestra, the Royal Liverpool Philharmonic, the BBC Philharmonic, the Halle and Northern Sinfonia. She has also performed alongside Gil Shaham, Itzak Perlman, Russel Watson and Edgar Meijer. As a soloist Clair has played the Bach Brandenburg Concertos, Bach’s Concerto for Oboe and Violin, the Mendellsohn Concerto and Schindler’s List with the English Philharmonic Orchestra. Clair is principal violin of the Derby Concert Orchestra and has recently performed the Lark Ascending with them. Clair has been playing for Highly Strung since 2007.